When I plunged into the cyber world, I wasn't sure what to expect. What kind of freaks inhabited such a place? What kind of emotionally abused shut-in preferred a virtual life to an actual one? I was unprepared for the rare collection of individuals I would encounter. Yes, there were the weirdo stalker types who read my profile and found me a little too interesting, those who only saw me as a big dollar sign (because kindergarten teachers are known for their vast reserves? ), and of course there were the lonelies who just wanted to talk and/or vent about their crappy, crappy lives to anyone who would listen. By far, the largest group I've encountered were good people who are in the business of sharing, helping others, and making personal connections. These are the wonderful souls keep me going with kind words of encouragement and fabulous advice. But, hold the phone! I forgot to mention the group that makes me feel the most at home: The Fandoms. 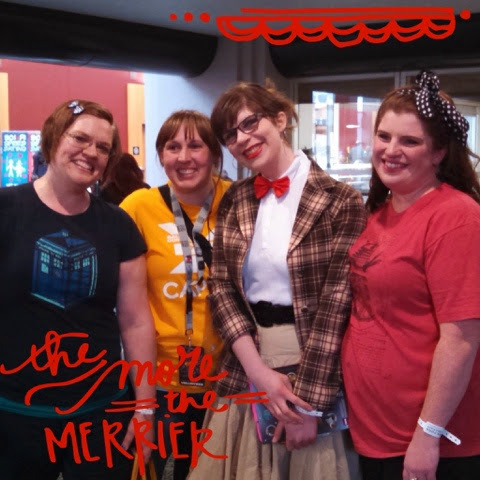 Because only rubbing elbows with those who are equally obsessed with books, movies, starlets, fanfic, quirky TV shows, and fairytale madness could bring out the geek girl in me. And I love it! I think we can learn a little something special from each one. The Whovians: Doo-wee-dooooo! Please don't ask them to explain the show. Terms like time vortex, TARDIS, timey-wimey, and regeneration will pop into the conversation willy nilly. They are certifiably nutty, but they are the coolest, most accepting, tightest group of crazies you'll ever meet. Allonsy! The Psych-os: The fandom's name says it all. Those who appreciate the antics of a fake psychic detective and his pharmaceutical salesman sidekick are a little special themselves. That won't stop us from laughing. Or fist bumping. Who wouldn't feel that their life isn't worthwhile after a bout of the Psych-induced giggles? News Flash: I know so much about them because I'm a member of all four fandoms. And that's just the tip of the iceberg! Fangirl and proud! 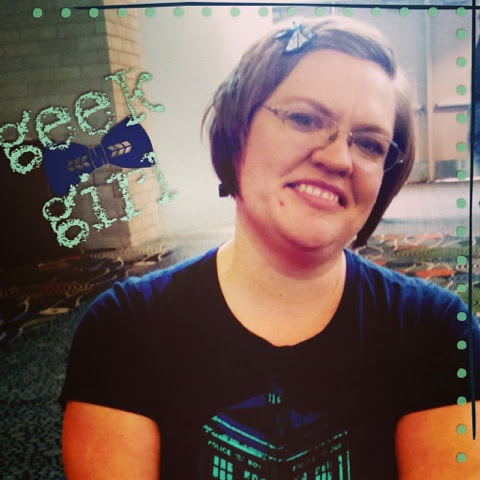 And yes, I can rock Geek Chic! I'd love to hear about your (possibly embarrasing) fandom affiliations and/or obsessions. Belonging to something passionate, interesting, and a little bit nutso is quite freeing. Leave me a comment and tell me all the geekiness. I definitely belong with the Sherlockians! Welcome aboard! They're a crazy bunch, Jan! But they'll take anyone who's willing to wait several years for some of the best TV ever. And yes, we do consider ourselves intellectually superior to all the other fandoms.